The waiting time is not easy even for an experienced ocean rower! The waiting time is not easy even for an experienced ocean rower! ‘Facing It’ Team, Stuart Connacher, Charl Gale & Wayne Johnson are eager to get going! 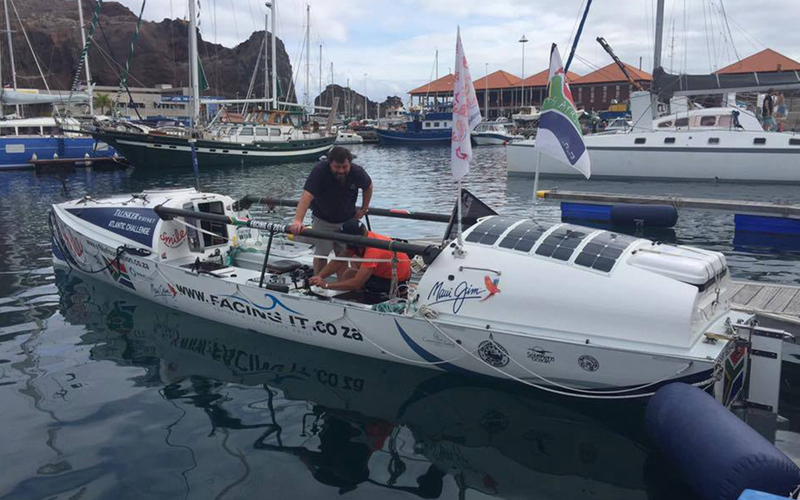 Leven is giving them a hand with prep work in La Gomera and the boat is in the water today.